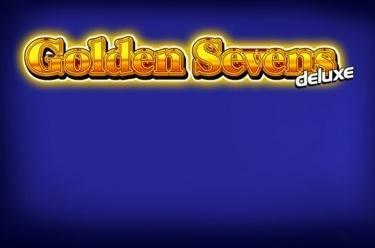 Play Golden Sevens deluxe online for free now! 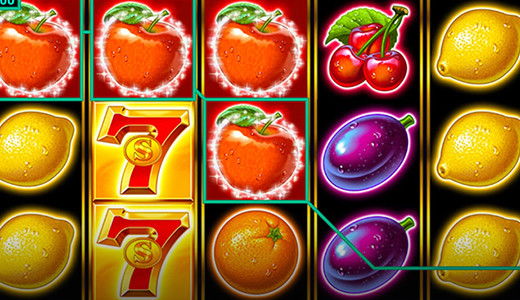 The fruit slot Golden Sevens deluxe has - with a little luck - a progressive jackpot in store for you on 5 reels and 20 win lines. The 7 symbol scores the highest winnings: it pays the most Twists and might also crack the progressive jackpot for you. Your aim in Golden Sevens deluxe is to line up 5 identical winning symbols on one of the win lines. All winning patterns start on the first reel to the left and run to the right up to the last reel. The 7 with the golden S cuts the mustard in Golden Sevens deluxe: when it appears 15 times in total it fetches the progressive jackpot for your player account. With maximum stakes you win the entire jackpot; if you bet less you receive a share of the jackpot relevant to your bet. It doesn't always have to be sophisticated Bonus features and exotic lucky symbols: sometimes it's the simple things that bring the most joy.Golden Sevens deluxe is a slot that is devoted to these words of wisdom - besides oranges, plums and lemons such familiar and popular lucky symbols like the golden bell land on up to 20 pay lines. And there is another highlight: The 7 with the golden S cracks the progressive jackpot for you when it appears on every position of the reel set!